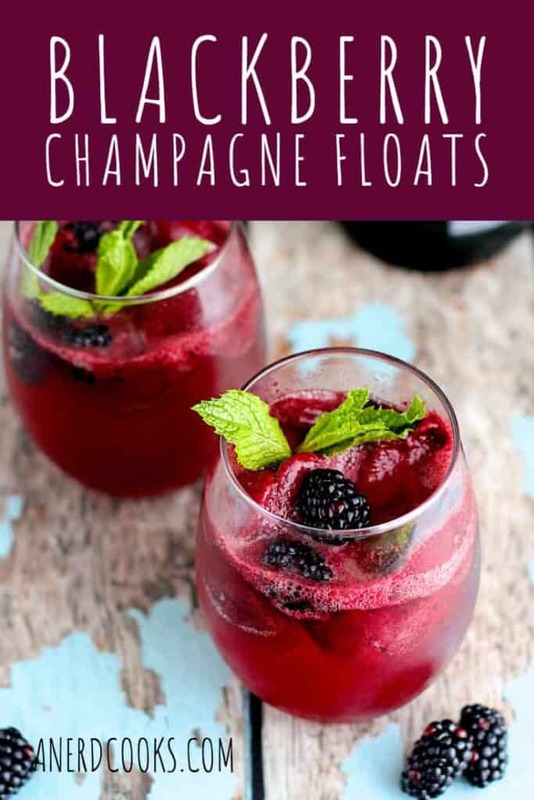 These Blackberry Champagne Floats are sweet, fizzy, and perfect for New Year’s Eve or summertime. These bubbly floats are refreshing and endlessly customizable. These champagne cocktails are so simple to throw together, yet look beautiful and taste great. They really only require 2 ingredients: sorbet and bubbly. 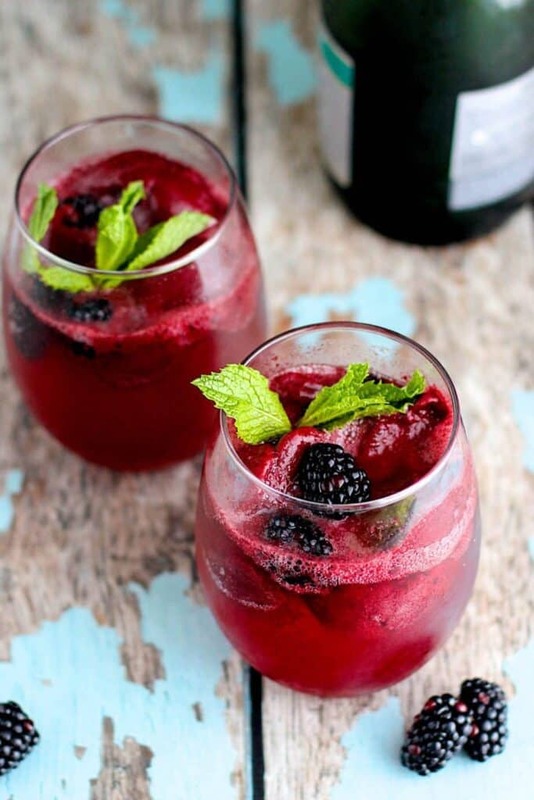 Though the berries and mint are optional garnish, I think that they really boost the impressiveness of these drinks. Sean and I had them last weekend. I had a leftover bottle of bubbly in the fridge that somehow didn’t make its way into mimosas over my birthday weekend. They’d be perfect at brunch, a NYE party, or even as a dessert cocktail. Or you know, because it’s Friday. 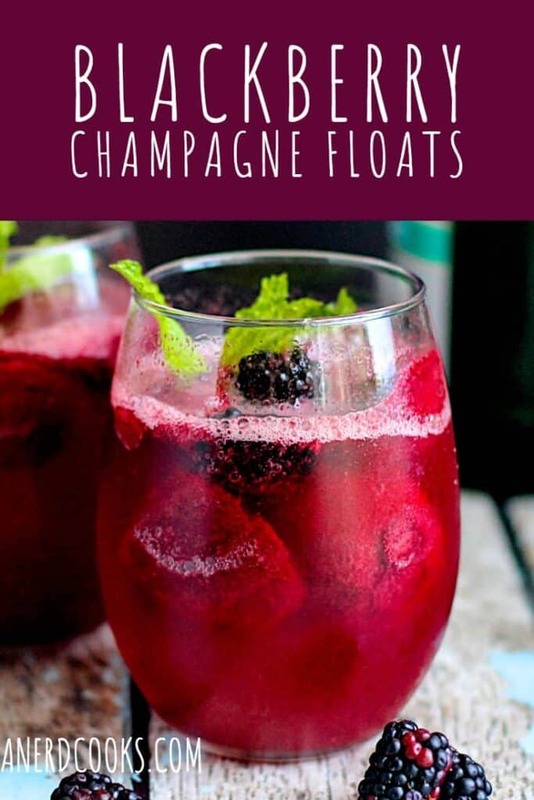 Need other bubbly cocktails? 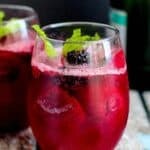 Check out my Pomegranate Champagne Moscow Mules and Chambord Kir Royale recipes! Drop 2 scoops of sorbet into each glass. Top with as much bubbly as you'd like. 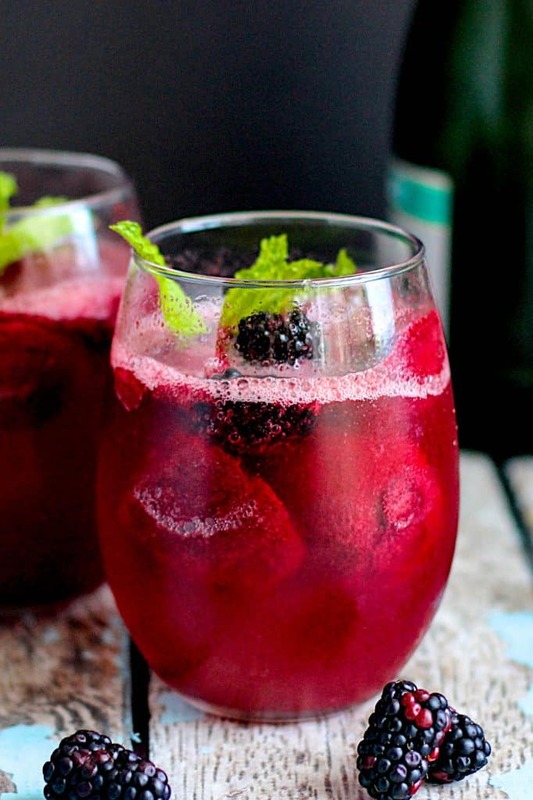 Add some fresh blackberries and mint leaves to garnish. Feel free to mix it up, too. Does raspberry sorbet sound like your jam? Use that instead! Top with whatever kind of bubbly you prefer. Trust me, even the cheap, sweet stuff is great here.